Mainstream Churches of Christ are far along in a falling away that began around the time I was born, and I’ll soon be eligible for Medicare! The drift has taken place so slowly that most brethren think the modern innovations from the divine pattern for the church have always been practiced. You can disagree with the positions I espouse concerning the work and organization of the church, but the fact is, on almost all the issues that divide brethren today, I stand where the consensus of members of the church of Christ stood prior to World War II. That certainly doesn’t prove I’m right, but it does prove who has changed. But don’t take my word for it. It is not the mission of the church to furnish amusement for the world or even for its own members. Innocent amusement in proper proportion has its place in the life of all normal persons, but it is not the business of the church to furnish it.... For the church to turn aside from its divine work to furnish amusement and recreation is to pervert its mission. It is to degrade its mission. Amusement and recreation should stem from the home rather than the church.... If the church will discharge its duty in preaching the gospel, in edifying its members, and in helping the worthy poor, it will not have desire or time merely to amuse and entertain (“Gospel Advocate,” May 20, 1948). I knew the great and beloved Floyd Decker -- faithful, devoted, powerful gospel preacher, enemy of all unrighteousness. Brother Decker determined to do nothing in matters religious for which there was no Bible authority. He renounced the practice of using mechanical instrumental music in worship, left the Christian Church, and was tremendously effective in bringing many others out of the Christian Church. 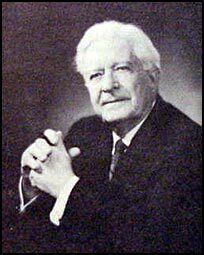 How I wish that all the men who were present at Joplin could have known Floyd Decker ("Should We Merge With The Christian Church? ", The Spiritual Sword, Oct. 1985, via Padfield). 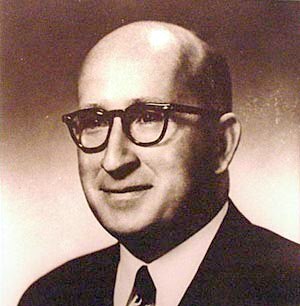 In 1944 Brother Decker had an article in “Unity Forum” entitled, “Why I Left the Christian Church.” His seventh reason for leaving was The Christian Church emphasizes society and the physical man by appealing to the carnal nature, with church carnivals, bands, plays, choruses, dramatics, church kitchens, church camps, and elaborate fellowship halls; the church of Christ does not (1 Cor. 10:7; Rom. 14:17; 1 Cor. 11:22,34). (via Padfield). sent to me by Bennie Johns). 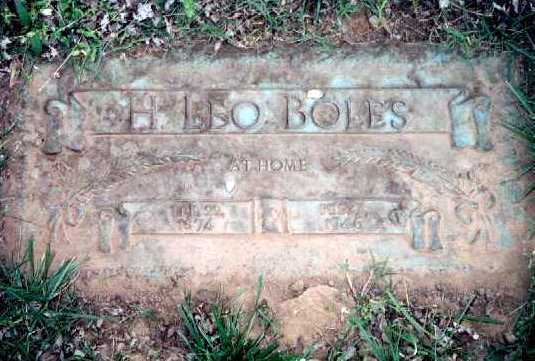 Brother H. Leo Boles taught: “There is no example in the New Testament of two or more churches joining together their funds for support of the gospel” (Advocate, Nov. 3, 1932). If two or more churches put it into the hands of a board, though the board may be made up of the elders of one of the churches, we have a very nice beginning of a missionary society to try to take charge of the churches (Ibid, Jan. 11, 1934). There was a widespread consensus among brethren prior to the middle of the twentieth century that church support of human organizations was sinful. There were no ‘brotherhood colleges,’ church papers,’ ‘church orphanages,’ ‘old folk’s homes,’ and the like, among apostolic congregations. . . . The churches established by the apostles did not contribute to any organization other than a sister congregation. All ‘church’ movements should be kept under the local congregation. Nothing is ‘permissible’ as an auxiliary of the church which is not scriptural. And it is not scriptural for the church to delegate its work, either missionary or benevolent, to boards and organizations other than the church. Bible colleges and institutional orphans’ homes cannot be made adjuncts of the church, scripturally. The only way the church could scripturally run a school or a home would be for the local church to undertake such work through the local organization — elders and deacons — in which case it would be the work of THAT congregation (Foy E. Wallace, Jr. [editor of “Gospel Advocate”], “Gospel Advocate,” July 2, 1931. 804. Quoted by Cope. 32). Paul directed the church to care for the widows that were widows indeed, and there was nothing said about any institution except the church through which it was to be done. There were famine sufferers in Jerusalem, and their needs were supplied without anything in the way of an institution except the church in Jerusalem (F.B. 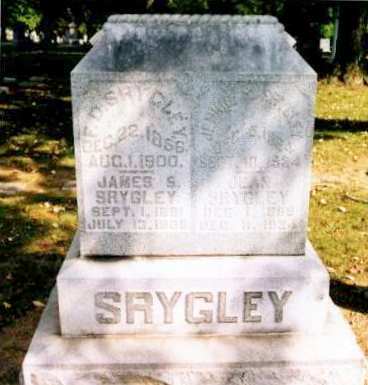 Srygley, “Gospel Advocate,” July 9, 1931. 828. Quoted by Cope. 32). No organization is needed to accomplish the work the Lord has authorized the church to do. When men become dissatisfied with God’s arrangement and set up one of their own, they have already crossed the threshold to apostasy. Let us be satisfied with the Lord's manner of doing things (Guy N. Woods, Annual Lesson Commentary, 1946. 341, Quoted by Cope. 34). Those of us who oppose church sponsored recreational activities, church support of human organizations, and the sponsoring (overseeing) church arrangement stand precisely where the consensus of Christians in America stood prior to the middle of the twentieth century. We haven’t changed. Mainstream (institutional) Churches of Christ have gradually drifted away from the divine pattern until today they are very close to joining the ranks of human denominations.